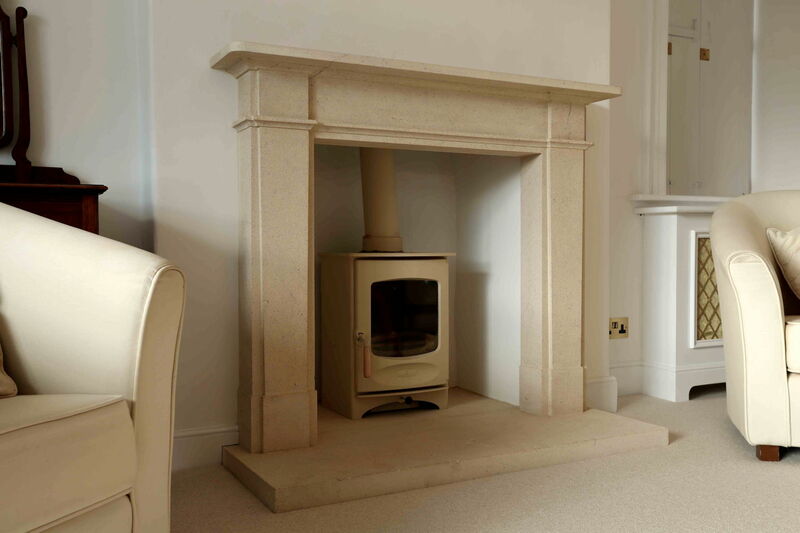 Our Ellington fire surround shown here in our local Bath stone. This design offers contemporary design while also retaining some stunning classical features. 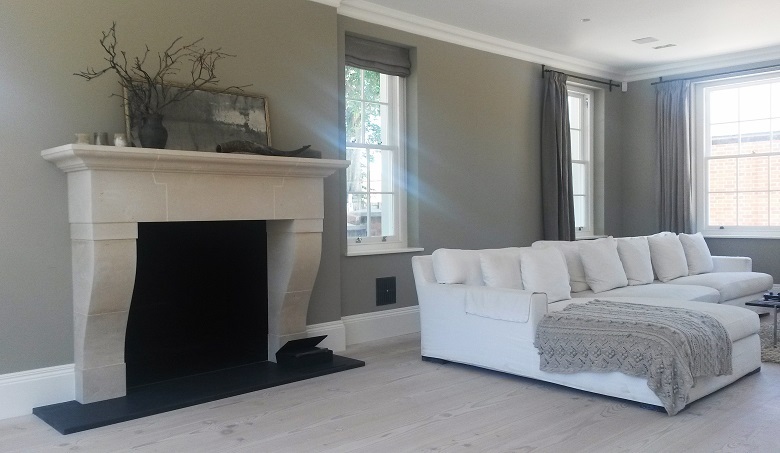 We installed 7 Worfield stone fireplaces in to a stunning family home near Surrey. Most of the 7 fireplaces also had cream stoves with one or two having open fires. The Worfield design is timeless with it's simple but elegant detail. The Worfield is also a very popular design. 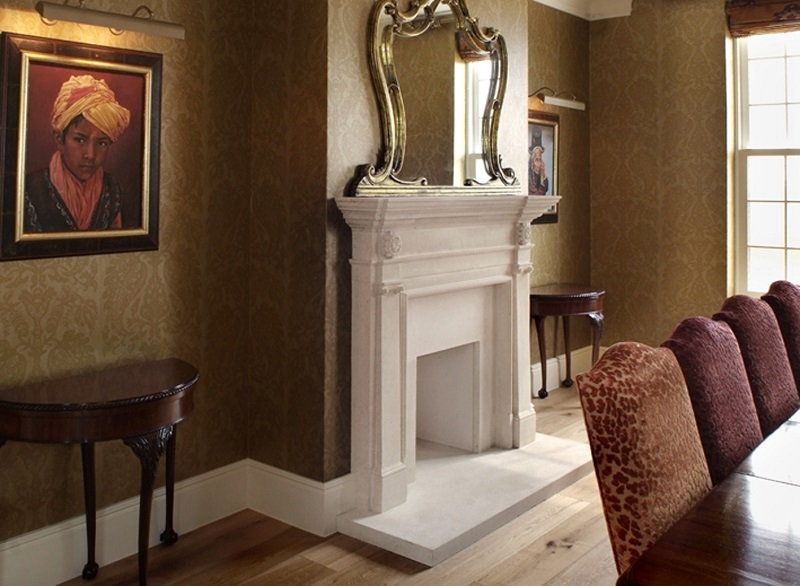 Pinckney Green installed this Bolection fireplace in a striking hallway with a stone clad chimney breast. 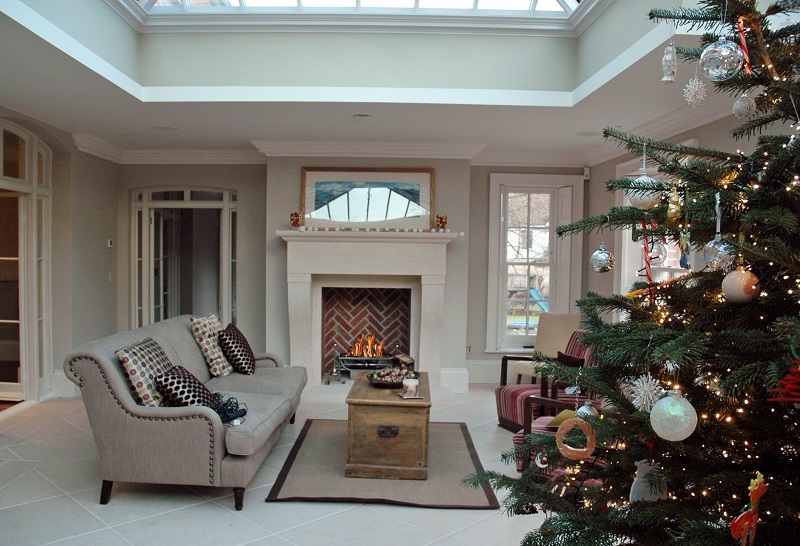 The Bolection fireplace is a Georgian design so it fitted perfectly into this impressive family home. 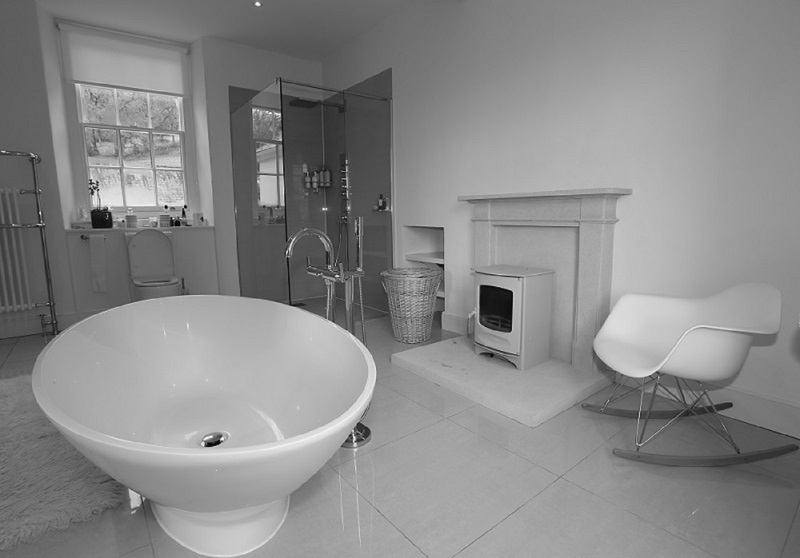 Complete with Bath stone to line the chamber and hearth stones. We also supplied the open fire basket with dogs and the fire back. The Lollesworth stone fireplace is our most detailed design. The carving is all done by hand. Head over to it's product page for close up photos of the carving, it really is stunning! We mostly use Portland stone for this fireplace as it's a lot more dense than Bath stone which helps with the detailed carving. Still one of our favourites! Pinckney Green were asked to replicate this French country design. Our client provided us with a cut out from an interiors magazine. We then made it our own using Portland stone. The opening is double sided so we fitted a double sided wood burner which can be enjoyed from either room. The colour of the stone suits the interior perfectly. This striking Toulouse couldn't be more perfect for this room. Shown here in Portland stone with a red brick herringbone chamber and a fire basket with dogs ready for those pre-Christmas evenings. .
Pinckney Green Fireplaces (PGF) were recently appointed by interior design company, N V Design UK Ltd. We were asked to create a large Bath Stone fireplace for the library of a stunning Manor house in Gloucestershire. The Heddington design was chosen by Nadira Van De Grift, the interior designer. She chose this design for its sharp classical architectural lines and refined stepped mantle. 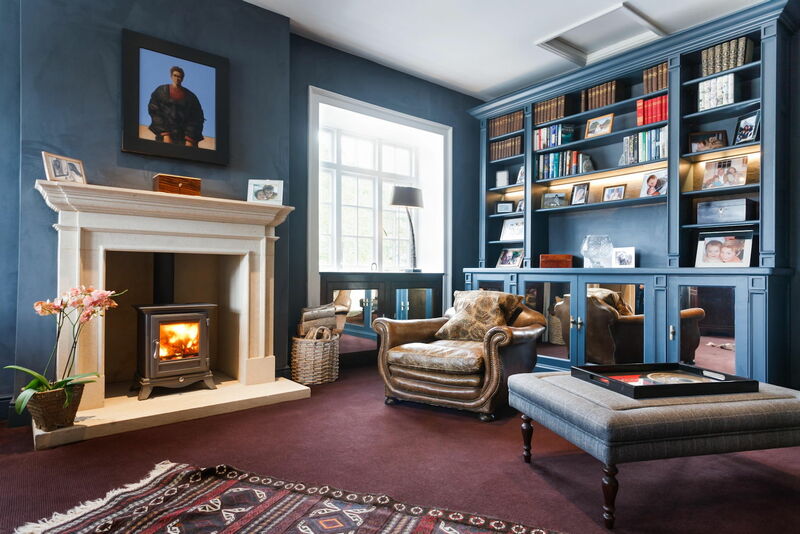 The photograph shows how the strong dark blue suede wallpaper and painted bookcases work beautifully with the colour and texture of the Bath Stone fire surround. 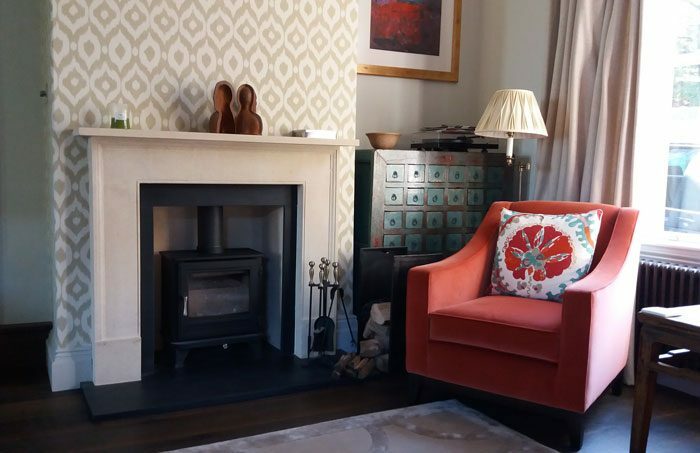 The client chose a classic woodburning stove to compliment the surround which gives a beautiful warm glow to the room. 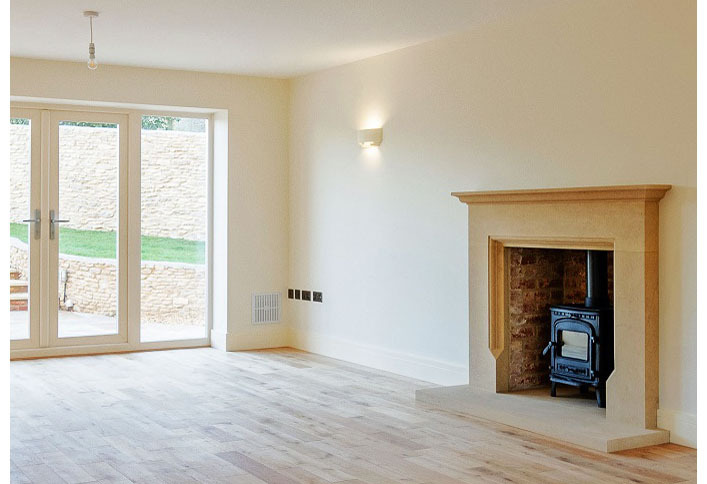 Berkshire – Luxury New Build Home Pinckney Green Fireplaces (PGF) were approached by a Berkshire family who were in the process of constructing their luxury new build home. We were asked to help design and create five fireplaces for a brand new house being built in Berkshire. The homeowners required fireplaces for the large Hallway, the Master Bedroom, Library and Dining Room. 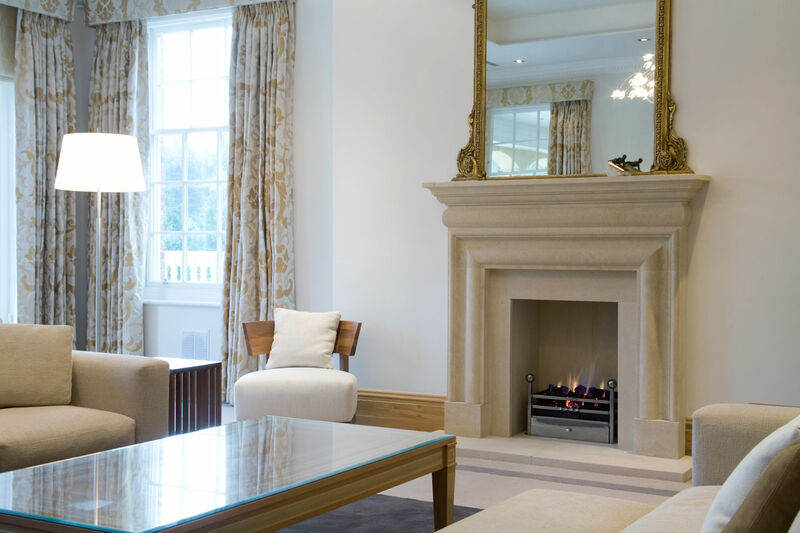 The above picture shows our Bolection design of fireplace in Bath stone which was chosen for the Drawing Room. The room is light, bright and spacious, with a sophisticated interior. The colour and texture of the Bath stone and the elegant tall proportions of the Bolection design complement the room perfectly. All five fireplaces were installed within a two week period towards the end of the overall project build. We appreciated the challenge of working on an extremely busy site, co-ordinating with other trades and ensuring a smooth installation of the fireplaces. 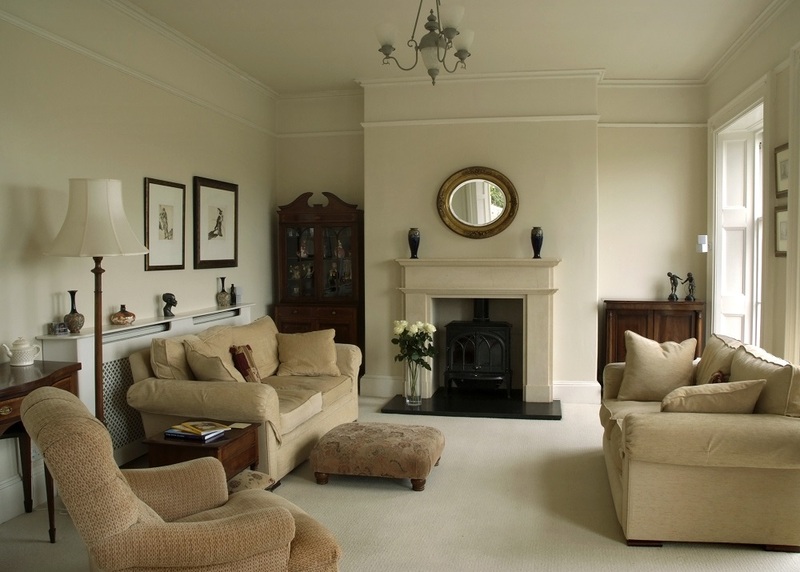 The fireplaces helped to provide character and style to a brand new home. 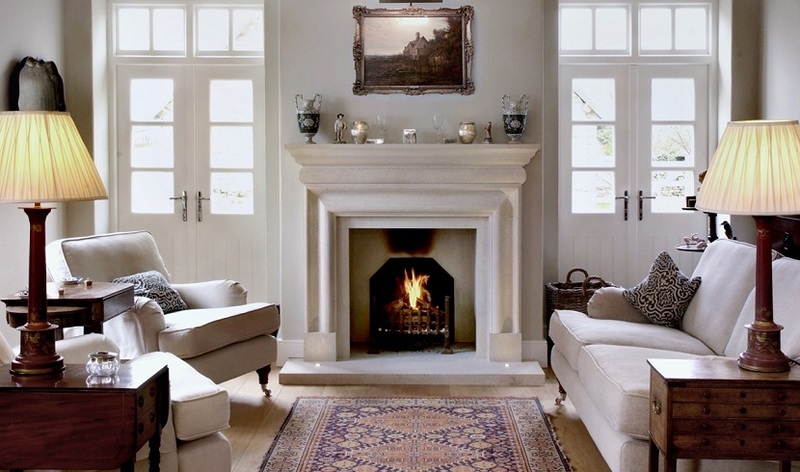 We love these two matching country style stone fireplaces. This is our Country Tudor design with it's Tudor arch and soft lines. This fireplace is perfect for your country home, the design is uncomplicated but says a lot, light the fire and grab a hot chocolate, what more do you need. 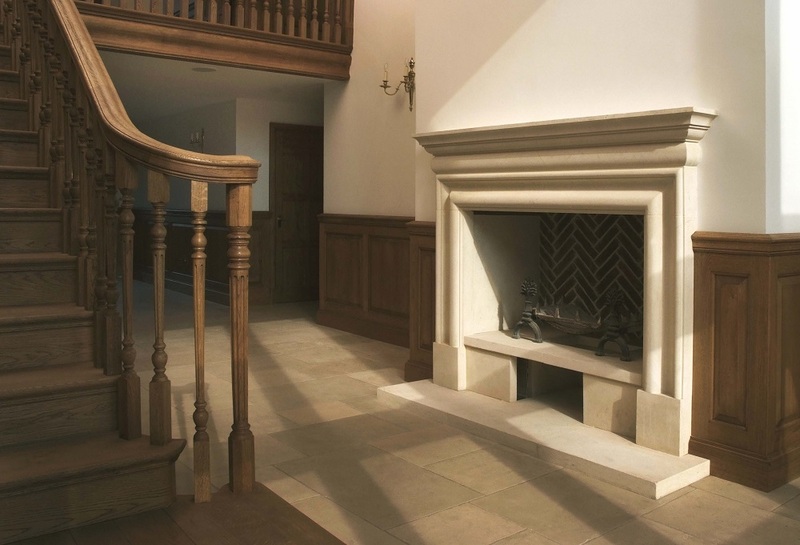 This large Bath stone Bolection fireplace was created for a stunning entrance to this wooden hallway. The raised inner hearth was a bespoke element of our Bolection design. The fire chamber is lined in the original red herringbone brick panels for extra character. We absolutely loved this matching pair! 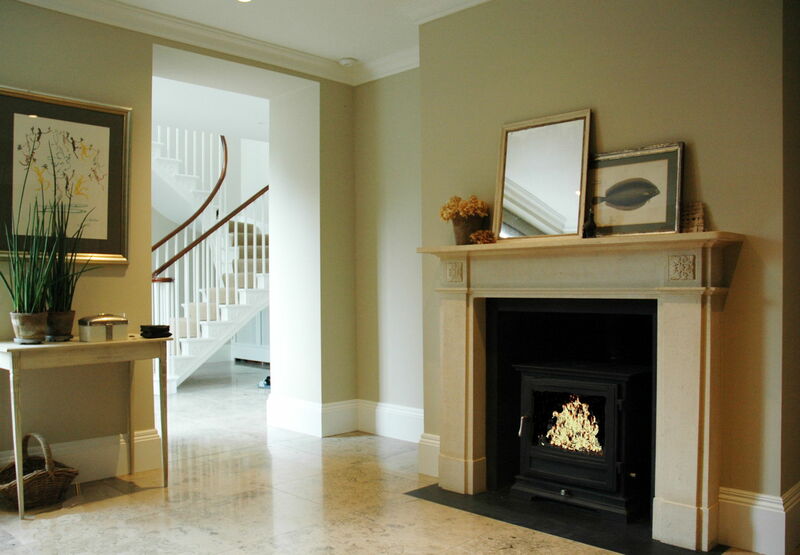 Two small Bath stone Bolection fireplaces installed in a wonderful London town house. We also supplied the fire baskets with dogs which look great in the small openings. This Bourneheath stone fireplace is from our contemporary range, shown here in Portland stone with black granite hearth and slips. The chamber is also lined in Portland stone. 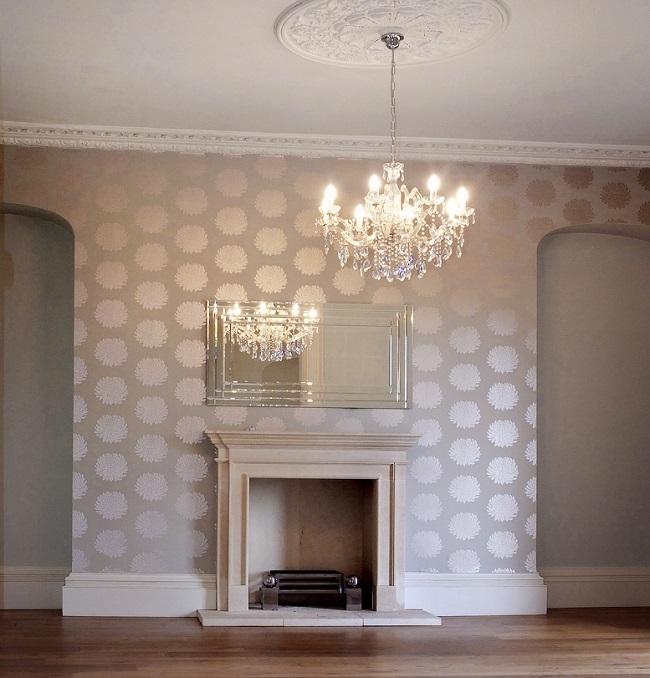 This is our very pretty Heddington fireplace looking just the ticket in this glamorous living space. 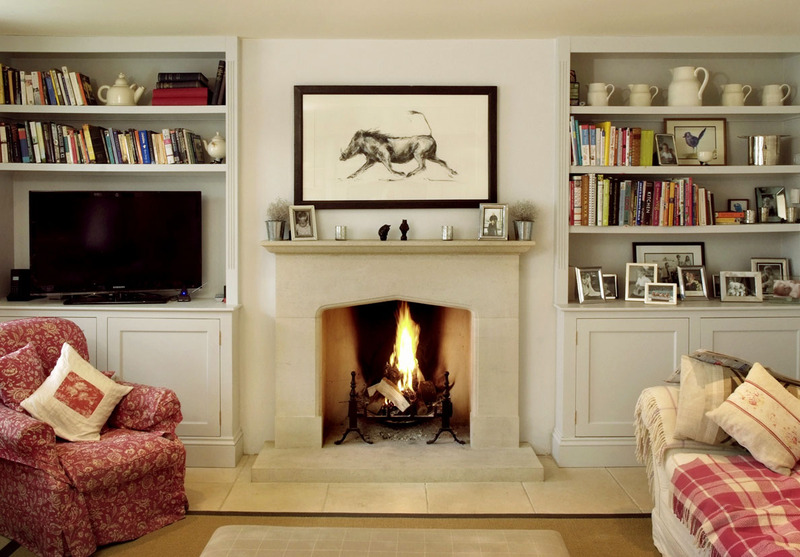 We believe that achieving the perfect proportions is the most important part of designing your fireplace. This room has wonderful tall ceilings so the Heddington was a perfect design choice, with it's tall, sharp lines. Complete with Bath stone to line the chamber. inner and outer hearths and a polished fire basket fitted to enjoy a roaring fire. 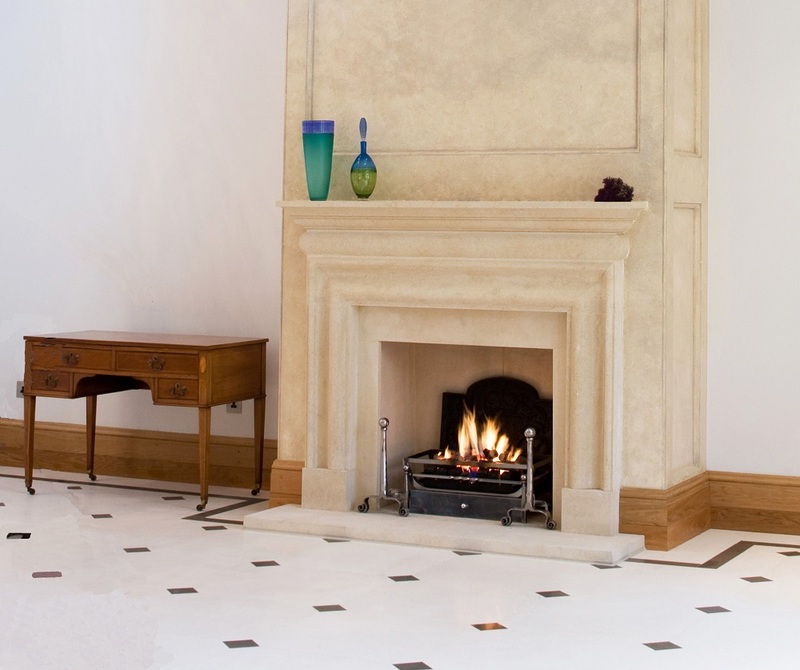 The Country Tudor fireplace in Bath stone is one of our most popular designs. 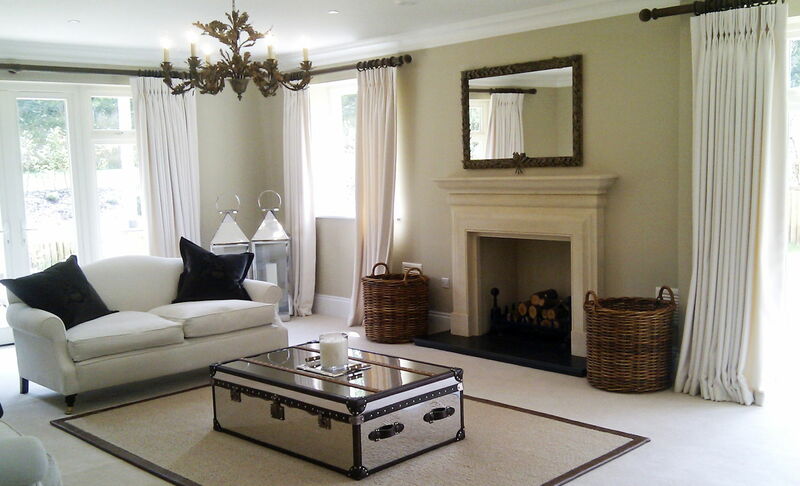 The natural creamy colour of the Bath stone works really well with the soft green decor in this lovely country home. 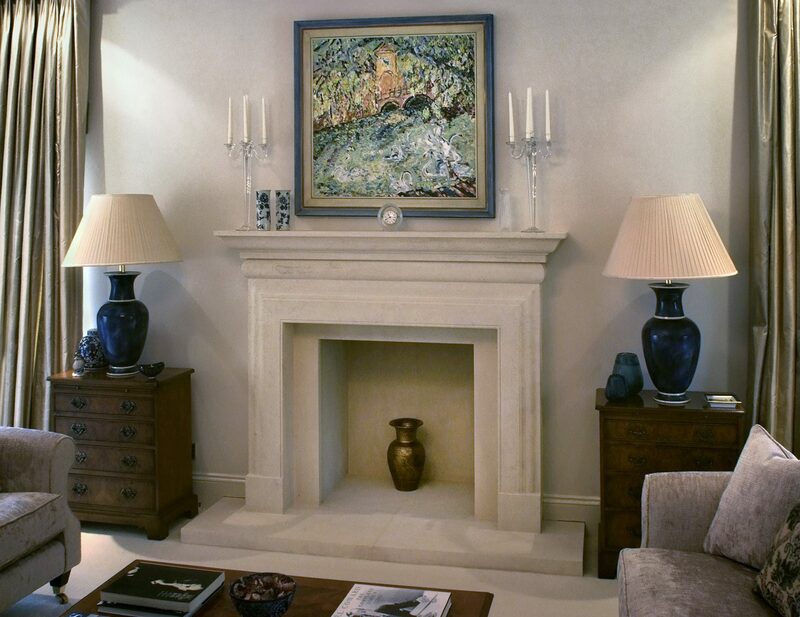 This fireplace was finished with Bath stone to line the chamber and the hearth stones. Also fitted was the traditional wood burner to be enjoyed on those cold winter nights. The Toulouse is one of our best selling stone fireplaces. It has so much character and really brings the room to life. The large tapering legs support an impressive mantel, leaving plenty of room for your decorations. This fireplace was carved from our Portland stone, black granite panels were used to line the chamber, complete with black granite hearths. Brockwell and Stove from Pinckney Green Fireplaces. This fireplace was one of many stone fireplaces Pinckney Green installed in this modern family home near Surrey. Each fireplace was completed with either a wood burning stove or an open fire. The stone used for this surround was our locally quarried Bath stone with a flush black granite hearth and slips. 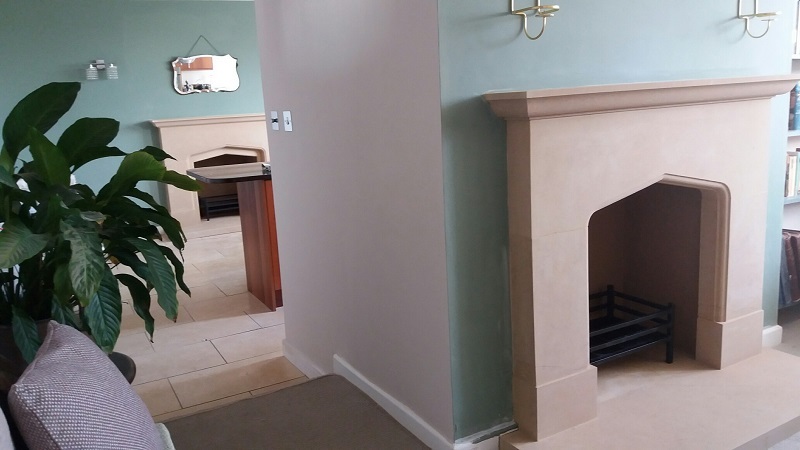 This photo was taken shortly after Pinckney Green installed the fireplace, the Bath stone will dry out and become slightly lighter, this can take up to two weeks. This is our Deaconsfield design with red brick to line the chamber. The wood burning stove is sitting on a Bath stone hearth. 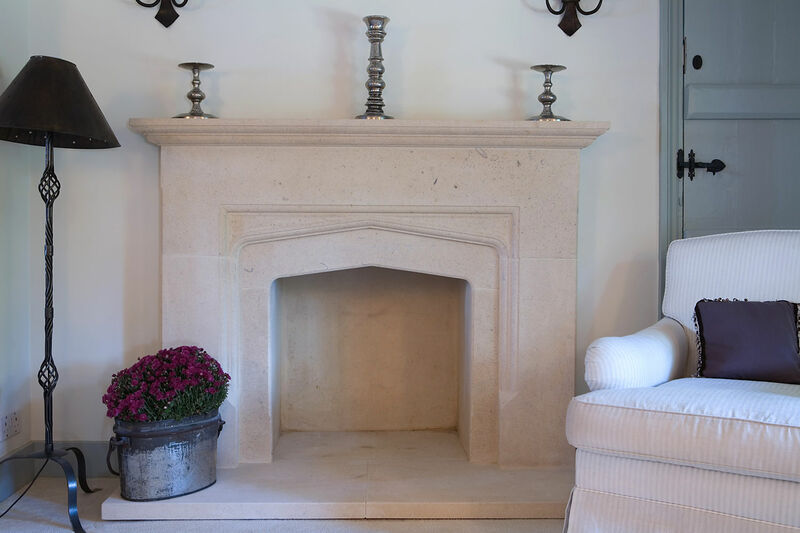 The Ashmore is one of our most decorative stone fireplaces. You can head over to the main Ashmore product page to see the craving closer up. The detail is truly stunning, this fireplace would absolutely be the main focal point to any room. Fitted here in a large dining room to be enjoyed by friends and family. This fireplace was carved from Portland stone which is more dense than Bath stone, this enables our stone masons to perfect the finest detail. 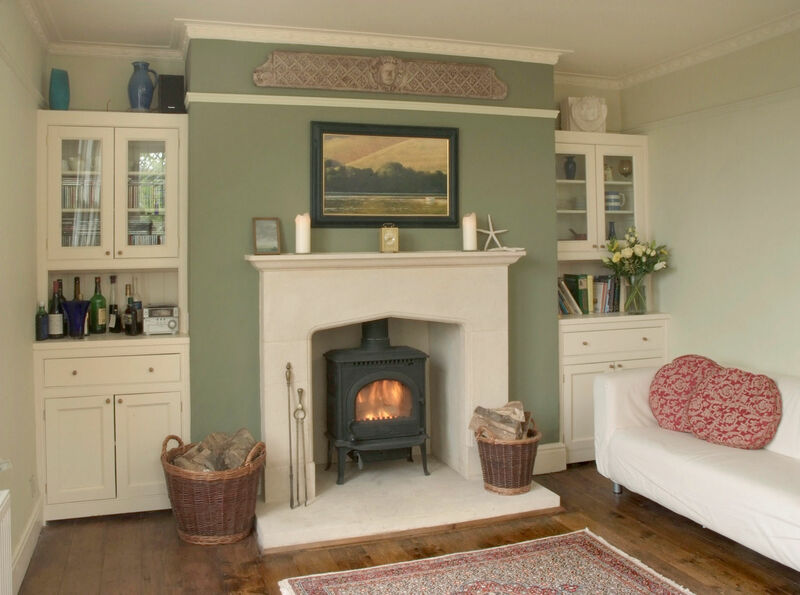 The Country Tudor is one example of a country style fireplace available at Pinckney Green. 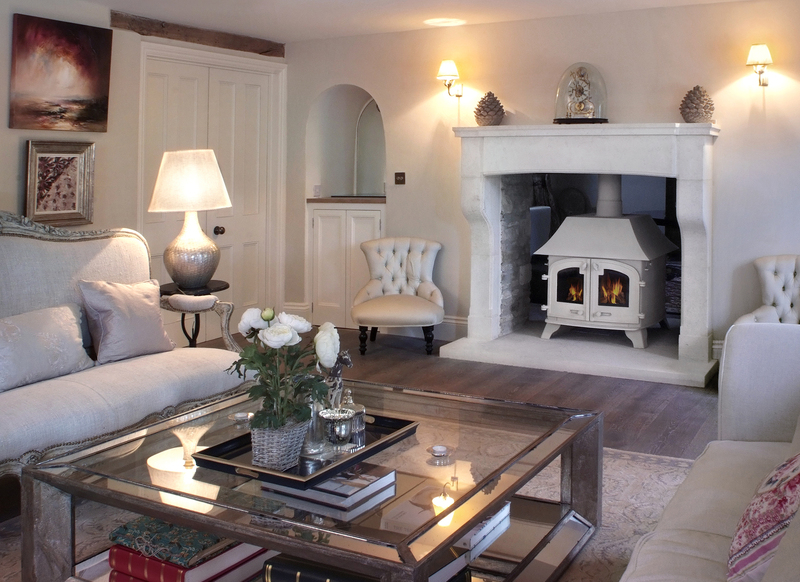 This soft, homely design is a very popular choice for country houses and barn conversions. This Country Tudor fireplace was completed with a Bath stone hearth and stone to line the chamber. We also supplied and fitted this open fire basket with dogs. An example of our Elizabethan style fireplace available at Pinckney Green. 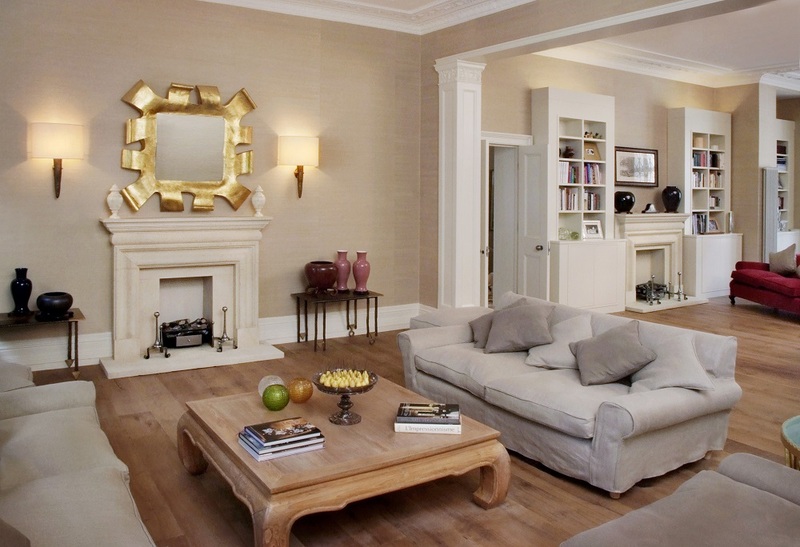 The Elizabethan is another design which suits both traditional and more modern interiors. This fireplace looks great in this welcoming, cozy cottage. Carved from our Bath stone which you can see has a nice amount of character. We also used Bath stone render to line the sides and back of the fire chamber. Complete with Bath stone hearths. 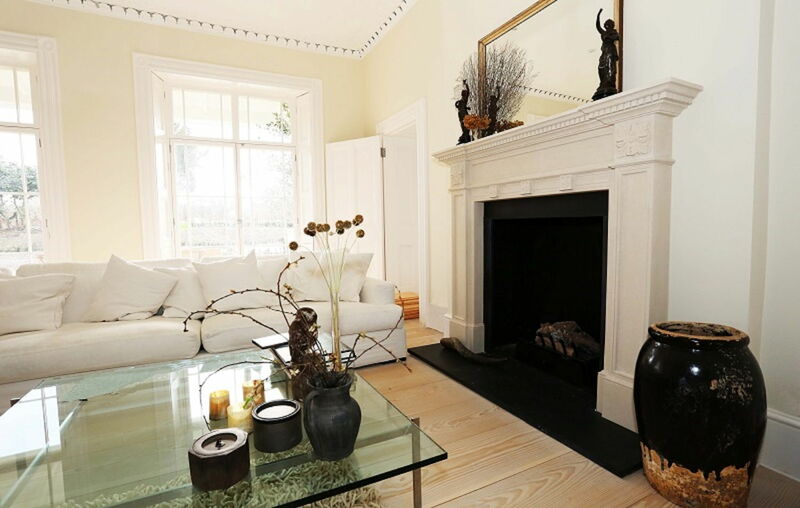 The great thing about our Hampton fireplace is that it suits both country and city properties. The style is timeless and looks great with either a black granite hearth or a stone hearth. This fireplace is the focal point of this welcoming living room. The Hampton also looks great in our more contemporary Portland stone.